We have very recently enjoyed a good look at the upcoming CLA-Class, which is why the spy shots of the high-performance Mercedes-AMG CLA 45 luxury sports sedan may not surprise us. But you have to admit it though; it is good to hear that one of the most enjoyable versions of the outgoing model is coming back with a refresh. 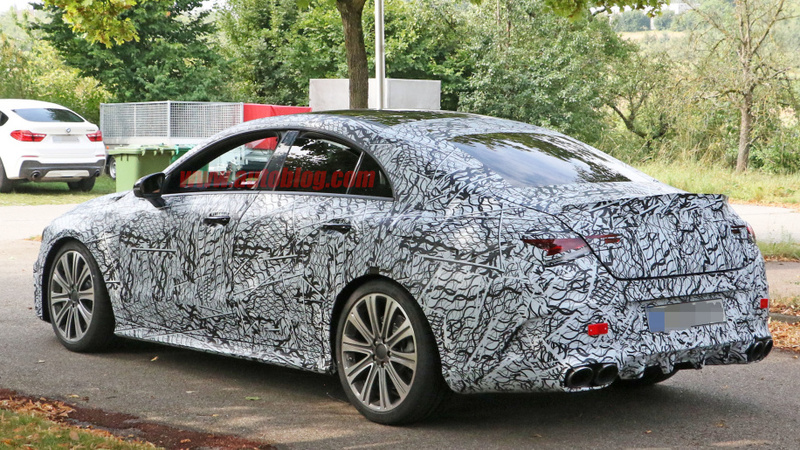 The car seen in the spy shots features a pretty classic Mercedes-AMG upgrade with not too prominent yet aggressive body parts. The subtle body modifications aren’t the only change you should be expecting; many believe that the next-gen CLA 45 will also house a more powerful engine. 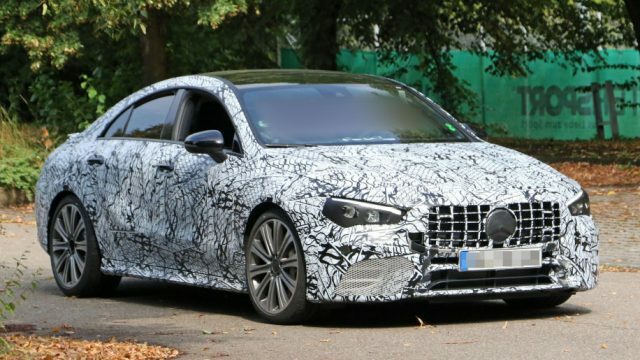 The one thing that you instantaneously notice when looking at the front of the prototype is that this car will have no trouble breathing which can’t be said for the normal CLA model. The additional slot under the between the main center grille and the grille below it and enlarged grilles under each headlight will allow the car respirate much easier and better than before. 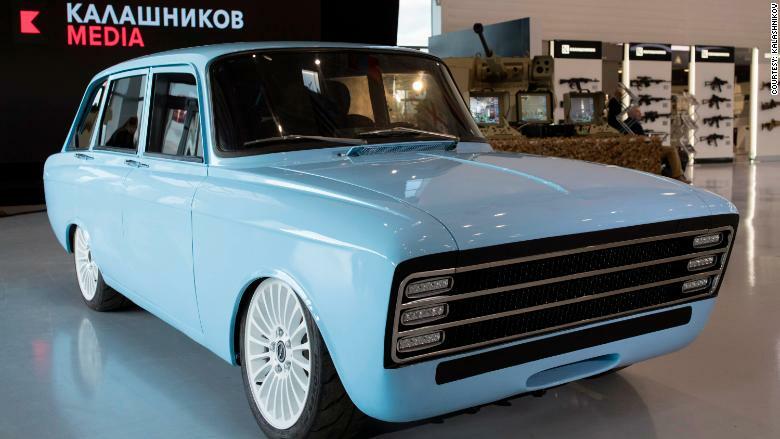 The main grille which was previously a single, wide bar like in the standard model is now replaced by an egg crate version. We are hoping that it is the AMG Heritage grille and the vertical bars will have chrome. The sides of the next-gen model have the least amount of changes with the only noticeable one being the lowering of side skirts which gives them an aggressive look. You can also clearly notice that the new model is much closer to the ground than the normal CLA version. At the rear end, the spoiler coming off the trunk lid seems to have a taller lip. If the spoiler wasn’t enough to give the car an aggressive look that the engineers obviously have been going for with this model, the rear bumper helps complete the job. The extractor vents (which could also be just fake panels to hide the real look) are placed on the bumper just aft of the rear wheels. The two round exhaust tips on each side of the rear are separated by what can be clearly identified as a diffuser (again, could be a fake panel). What’s more interesting about the upcoming CLA 45 is its powertrain, which we don’t have any clue about, for now. Many expect the new model to carry over from the 375-hp engine to a retuned one with 400 hp.